This post is specially dedicated to Ms Hana Maher and the team at Malaysian Digest! Thank you so much Ms Hana for writing an EXCLUSIVE FEATURE about my humble self! Words can’t describe how much I appreciate it! Also, thank you so much for speaking so highly of me! I am very grateful! I’m so humbled by your kind words! As always, the write-up was very well-written and high-quality, and, just like your previous articles (some of which have been displayed in my school), it was written with great care and not a single detail was missed! I loved reading it, not because it was about me, but because Ms Hana’s style of writing is truly captivating! In fact, why don’t you give it a read? I’m sure you won’t be disappointed! It’s not just Ms Hana who deserves thanks – the whole team does! I’d also like to say a special thank you to Ms Deza, the Editor of Malaysian Digest, for honouring me with this EXCLUSIVE FEATURE! Ms Hana, Ms Deza and the Malaysian Digest team are brilliant people who have been supporting not only me, but my whole family, and continue to do so! I am truly blessed to be surrounded by so many supportive people, including all of you, my beloved readers! On behalf of my family, I would like to again thank Ms Hana, Ms Deza and the team at Malaysian Digest for all your kindness! May God reward you handsomely! Not forgotten, to all my dearest readers, your PAWSOME support is highly appreciated! Please continue to keep me and my family in your prayers! The wait is finally over! The Family’s very own TV show is going to be aired on British Muslim UK TV. Believe it or not, it’s not just 1 episode, but 12! It is like having our very own reality show, but with added fun family activities! It’s also educational, packed with quizzes and trivia. It’s kinda like Fear Factor, fuelled with plenty of gruesome foods and smells! When Mr Dad broke the news to me, I was overjoyed to hear that they were inviting me to host our own family TV show! I was extremely honoured, but of course, none of this would have been possible without the help of everyone who put in every effort to make this happen! First of all, I would like to thank Mr Dad! Normally, he doesn’t like to be in the limelight, but this time, he insisted on doing it to support me. I see him as a wonderful dad who won’t put his preferences before helping his son! He is a yes man, and can do anything for his children! He doesn’t mind to get his hands dirty, he just does it to support us! How much more caring can a father get? I hope he will be an inspiration to other dads out there! I would also like to give thanks to Mamajee @adamdidam for his huge help too! When BMTV invited him to be part of the show, despite his busy schedule, he flew all the way to the UK from Malaysia and gave his full support! Mamajee has taught me a lot about the experience of being in front of a camera, and it has benefited me by having him in the show! Of course, we can’t forget Fatimah! She has been exceptionally brilliant during the shooting and was very brave to talk in front of loads of cameras and people! Those of you who follow our Instagram will know that Fatimah was born to talk! However, shooting for TV is a whole new thing for a three-year-old like her! On some days, she was having a bad skin day due to the fact that she is lactose intolerant and is allergic to dairy products, but she was still able to continue shooting! I am very proud of her and how she has managed to be a featuring star in the show! Another person who is prominent in the process of creating the show is Dr Auntie! She has been a massive help and sacrificed her time by coming all the way from Manchester to aid us! I don’t know what we would have done without her! She’s been great support to all of us! Ali also deserves some thanks! He was extremely well-behaved whilst we were away shooting. He was not crying at all, even though him and Fatimah cannot be separated! I would also like to express my gratitude to Mrs Mom! All throughout the making of the show, she has constantly supported us, telling us her thoughts about it and being really encouraging for us, even though she wasn’t feeling well at the time! She’s like a wonder woman! And lastly, I would like to say a humungous thank you to Zainab, Yousra and the whole British Muslim TV team! They have taken us as their guests and have done millions of things for us! They are a great team to work with, being professional yet friendly! It’s like working with one big family! They accommodated us with all our needs right from the beginning! The original shooting location was meant to be in Manchester, but they brought the whole team to Birmingham just to make it more convenient for us! During the shooting, they looked after us, giving us appropriate breaks, providing us with food and cheering us on! They have also pampered Fatimah, making sure she has enough rest, making her food and even feeding her! Their love for us really shines through! It was such an amazing experience! p/s: Thank you once again BMTV! Can’t wait for our next project together! The 17th of June has always been a date that our family looks forward to. Yes, it’s your birthday and it’s right next to Father’s Day (Lucky you!)! That’s why I’m writing this post! Over the years, you’ve been a PAWSOME father and a great husband for Mrs Mom, and you’ve made a lot of sacrifices for us. Ever since I was born, you’ve been like my best friend and you haven’t failed to keep Little Miss Diva and Ali the Salt Bubba happy too! You’ve got a great sense of humour and you’ve got a heart of pure gold! You’ve supported us and loved us with all your heart and you’ve always stood by our side. You are a very -and I mean VERY – PAWSOME dad! After all, you are the one and only Mr Dad! So, we’d all like to say THANK YOU for everything you’ve done! We really appreciate it! And since it’s such a special occasion, I’ve written a lovely (hopefully you’ll find it that way) poem, just for you! Which makes you a PAWSOME father! Happy Birthday! Happy Father’s Day! Please reserve my dad the best place in heaven coz he totally deserves it! Hey there pawsome peeps! Hope you’re doing OK.
Because the one week school holiday started, I really wanted to do a fun activity. I was being ambitious and wanted to fit another project into my jam-packed time table. But, I had dozens of things to do. People were visiting, Mrs Mom and Mr Dad had lots of work to do, I had to look after Little Miss Diva and Baby A and I ALSO had a Drama Club rehearsal to attend! WHEW!!! I was definitely worn out after everything! Although I had a very tight schedule, I still wanted to do something lively. So, Mrs Mom and I searched and searched. That’s when Mrs Mom said “Why don’t we try baking?” And that’s how I came across something called Onde Onde! Because I’m so passionate about my wonderful Malaysian heritage, I decided to use Onde Onde as my inspiration and concoct my own creation-with Mrs Mom and Dr Auntie by my side! So, instead of the Kuih Onde Onde, I turned the classic Malaysian favourite into…Onde Onde CAKE! It’s something bigger and bolder! I’m sure lots of people will fall in love with it! Now I know what most of you are thinking. What is the recipe for the cake! Well, I’m truly sorry but I can’t give it out to other people. It is TOP SECRET TPL business only! However, there is one thing I can share…my first time making it! Let’s get to it! The first thing that I had to do was chop up a couple of pandan leaves and grind them with a pestle and mortar. It was hard work but I eventually managed to do it! I also needed to add a splash of water whilst I was grinding. This was to get the pandan essence out of the leaves. Next, I had to strain the leaves and squeeze them so the essence would come out and drip into the cake batter. It gave the cake a light green colour and a fantastic aromatic smell. The remaining crushed leaves were discarded because no one likes something gritty and chewy in their cake, at least I haven’t met anyone who does! After the batter was mixed thoroughly, it had to be equally divided into individual cake cases. I had to be careful with the amount that I poured in. Too much batter and the cake would be all over the place! Then, I sprinkled some desiccated coconut onto the tops of the cakes. This was to add some extra crunch in the cakes. It also had a nice, fresh flavour, which goes great with pandan! I also scattered some Malaysian palm sugar or Gula Melaka over the coconut. It adds sweetness to the cake and it almost has a decadent caramel-like taste. It is also very fragrant. All I had to do now was wait for it to cook. So, Mrs Mom set the timer and put the tray of cakes into the oven. When Mrs Mom bakes cakes, she has her own special way of checking if they are cooked brilliantly. If she pokes a skewer into one of her cakes and it comes out clean, that means that they are perfecto! Finally, the cakes had finished baking in the oven! The finishing product didn’t look flawless as it was my first time making it. But, it still tasted delectable! There was a hint of sweetness from the palm sugar, crunchiness from the coconut and a wonderful smell from the pandan! And to top it off, once I have polished my baking skills and tweaked the cake a bit, I can hopefully start selling my cakes to the public! So, maybe you might be able to get your hands on one of them! Sorry guys, I’ve got to go now! It’s the first day of school tomorrow and I need to get my beauty sleep! But, I hope you’ve enjoyed reading this post! Don’t forget to try out the recipe for Onde Onde! See you later! 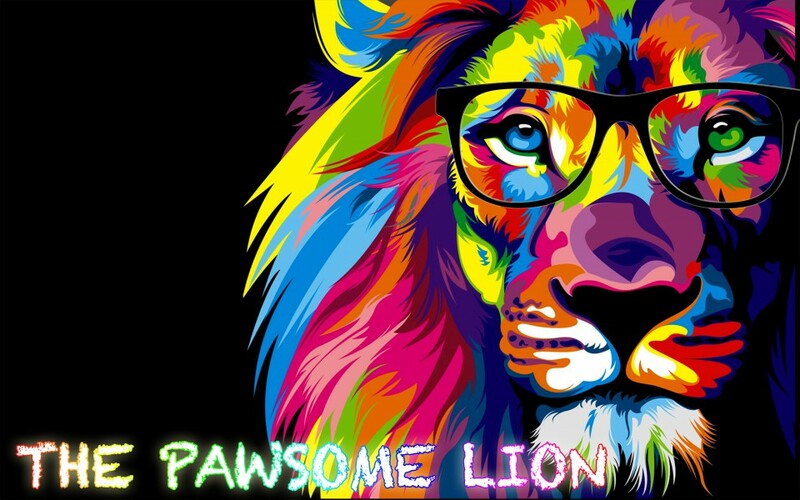 p/s: Follow me on Instagram, Facebook and Twitter @thepawsomelion for regular updates!